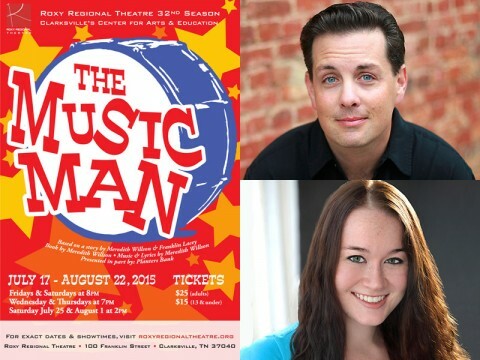 Clarksville, TN – Seventy-six trombones will close the Roxy Regional Theatre‘s 32nd season with a nostalgic bang when Meredith Willson’s great American musical classic “The Music Man”marches onto the mainstage, July 17th – August 22nd. By turns wicked, funny, warm, romantic and touching, “The Music Man” is directed by Tom Thayer and features Ryan Bowie as Marcellus Washburn, Tommy Winters and Leslie Greene as Mayor & Mrs. George Shinn, Madeline O’Connor as Gracie Shinn, Jackie Ostick as Mrs. Paroo and Tanner Sigears as Winthrop Paroo. Joshua Christensen, Matt Miazgowicz, James Hansen and Brian Graziani comprise the barbershop quartet, while the Pick-a-Little Ladies are played by Jewel Stewart, Debra Stewart, Elizabeth Worley and Jesse Boyle. Rounding out this cast of thirty are Truman Jepson and Allison Ferebee as Tommy Djilas and Zaneeta Shinn, Lawrence Lesher as anvil salesman Charlie Cowell, Chip Perretta as Constable Locke, and Arianna Grey as Amaryllis, along with Landen Daniel, Ava DoVanne, Grace Hurt, Jacob Johnson, Sidney McCarty, James McNiel, Emma Petrie, Austin Stewart and Skylar Sullivan. Friday, July 17th, is the theatre’s traditional pay-what-you-can preview. All tickets not pre-sold at the regular ticket price will go on sale at 7:30pm that evening for whatever price patrons wish to pay ($5.00 minimum). The performance on Saturday, July 25th, features a pre-show cookout and box social under the marquee, beginning at 6:30pm. Patrons can enjoy hamburgers and hot dogs, straight from the grill with all the fixin’s, and take part in our box social with desserts prepared by Harold, Marian and the rest of the cast and auctioned off by Mayor Shinn. 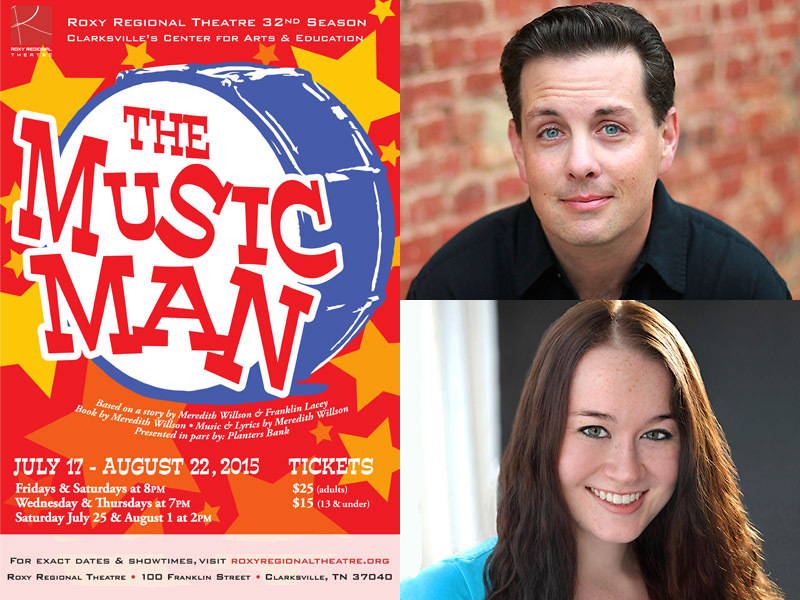 Admission, which includes the 8:00pm performance of “The Music Man”, is $40.00 (adults) and $25.00 (ages 13 and under). “The Music Man” runs July 17th through August 22nd, playing Wednesdays and Thursdays at 7:00pm and Fridays and Saturdays at 8:00pm, with 2:00pm matinees on Saturday, July 25th and August 8th. Tickets are $25.00 (adults) and $15.00 (ages 13 and under) and may be purchased online at www.roxyregionaltheatre.org , by phone at 931.645.7699, or at the theatre during regular box office hours (9:00am to 2:00pm, Monday through Friday, and one hour prior to curtain). Active-duty military, APSU students and CitySaver coupon holders can receive two tickets for the price of one to Wednesday and Thursday performances. This production is made possible in part through the generous support of Planters Bank. 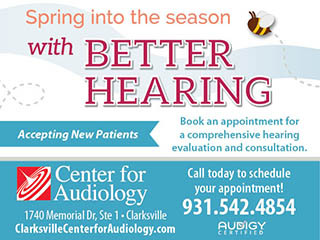 Additional funding support has been provided by Dr. Joseph & Nancye Britton, Jill T. Crow, Dr. Ernest & Joan DeWald, James & Christa Holleman, Garnett & Nancy Ladd, John & Cathy Stanton, and Starlene Sykes.